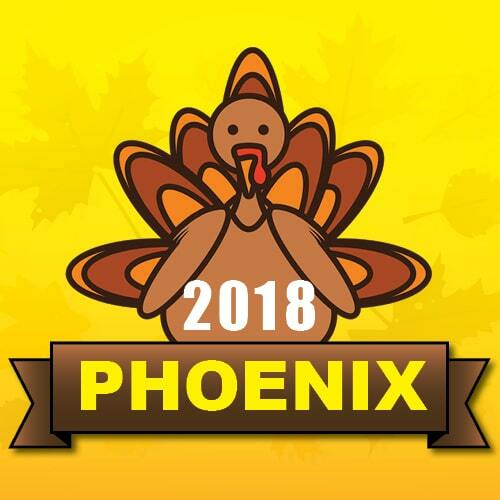 We’re Giving Away 1,200 Frozen Turkeys in Phoenix! Lerner and Rowe Puts 1,200 Turkeys on 1,200 Phoenix Tables on November 21st! Plus, Drawstring Bags Filled Side Fixings!! Lerner and Rowe gives back by putting 1,200 turkeys on 1,200 Phoenix tables this Thanksgiving. In addition to giving away 1,200 FREE turkeys, we’re also giving away sides bundled in a drawstring bag to go with each turkey! *Free meal sides and drawstring bags will be given away while supplies last. Phoenix families – YOU will want to be where the party’s at on Wednesday, November 21st! All you have to do is follow the cars to the Lerner and Rowe South Phoenix Office located at 52 E Baseline, AZ 85042.